Rhode Island's home for Makers. Why stand in line and fight the Black Friday crowds, when you can shop local and get crafty at OSMM’s third annual Black Friday? We’ll have a mix of our tried and true favorites as well as brand new items – even more than we’ve pictured here! 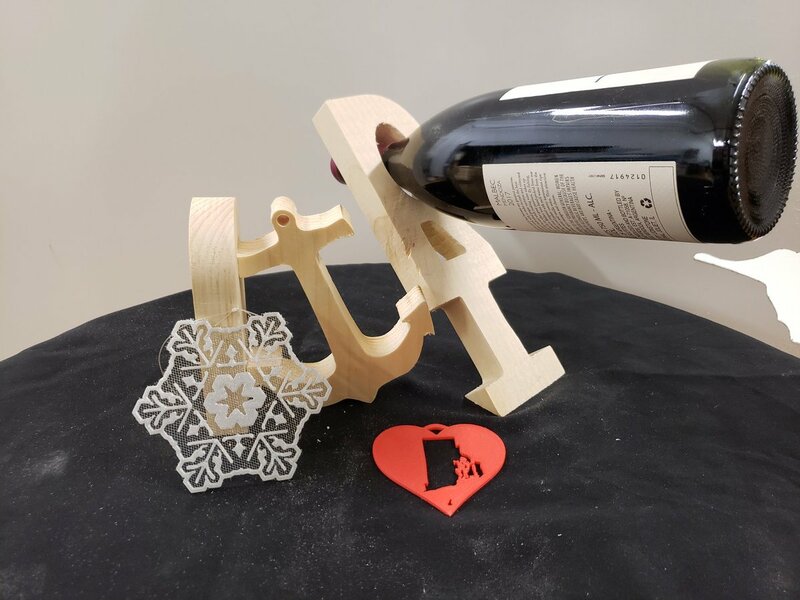 We’re using a wide variety of our tools from our elf workshop to get the job done – including CNCs, vinyl cutters, laser cutters, craft cutters, 3d printers and more… Some of our offerings even get you involved in the making. Shopping and making kicks off at 7pm Friday, and we’ll keep the festivities rolling until 10pm. Come take a selfie with Maurice, the life-size CNC cut Napland reindeer. Hope to see you there! Ocean State Maker Mill is located at 80 Fountain Street in Pawtucket, RI. The entrance to our workshop is in the back of the building, at the far loading dock in the parking lot off of Middle and Blackstone. We’ll have our lighted sign out. All New Classes for March!